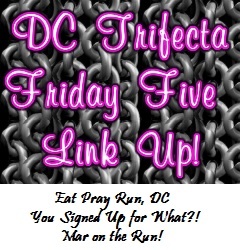 This week’s Friday Five theme with the DC Trifecta is in honor of National Running Day. On Wednesday, I wrote about the reasons why I run, and today I thought it would be fun to share what I love about running. 1. Its a challenge, and I’m always pushing myself to push my boundaries and overcome hurdles to find further success. 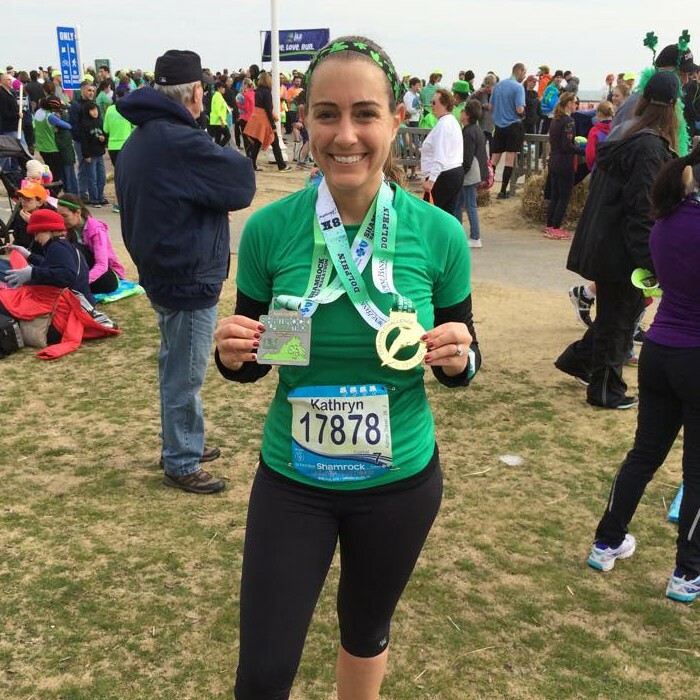 Shamrock Half Marathon was far from an easy race, but my PR was well worth celebrating post race! 2. Its an individual sport, and I’m always in competition with myself. Stats from a 4 mile run back in January. 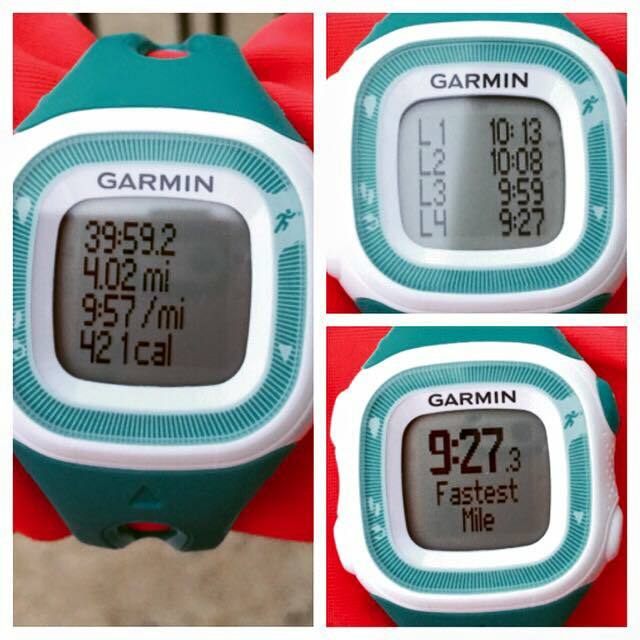 Not only was my average pace below 10:00 min/mile, but I successfully ran negative splits! 3. Even though its easy to compare my abilities to those of others, I try to focus on pushing myself and reaching my own goals. 5. Its great for both my physical and mental health. QOTD: What do you love about running? 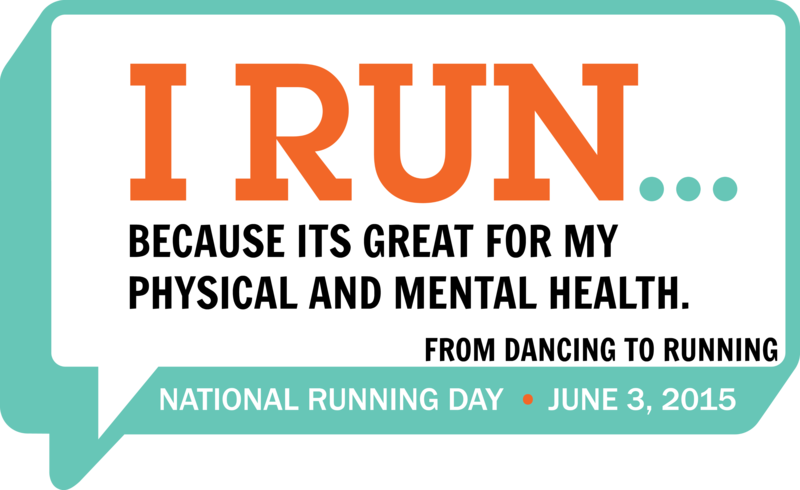 This entry was posted in Motivation, Why Run and tagged Friday Five, motivation, National Running Day, running. Bookmark the permalink. I would have to agree with you on loving it for being an individual sport. I only have my self to judge against. BUT, I do love to friendships that can come from being a runner. The friendships are definitely amazing. Running is amazing! I agree, it’s hard not to compare yourself to others, but staying focused on your goals and pushing yourself is the best way to succeed! 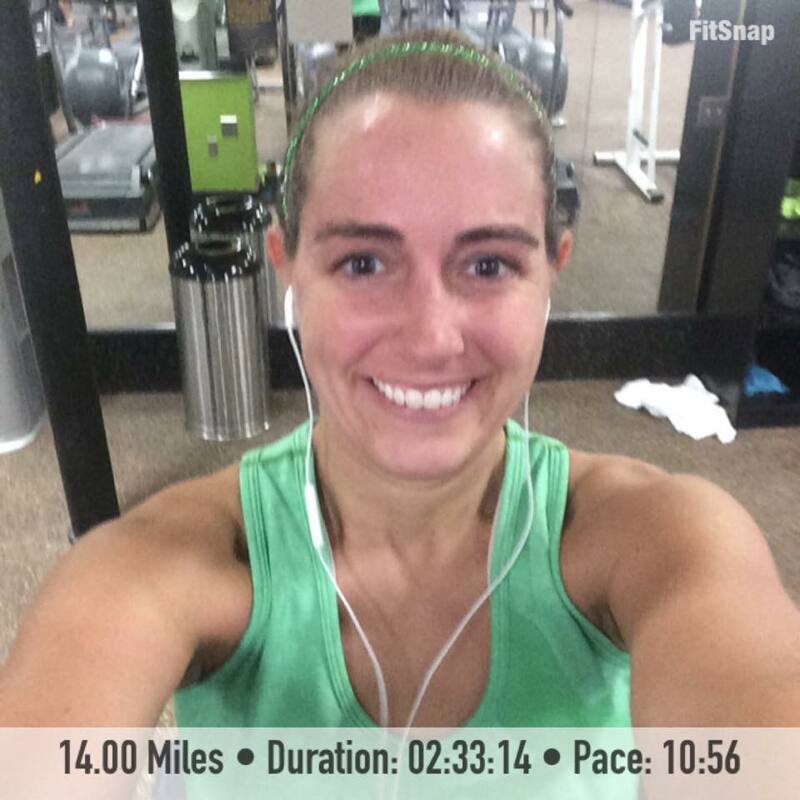 I love to run…for all the reasons you posted! It does have a great social aspect, doesn’t it? Totally agree on all counts! Running is awesome! I love that running is fun for me now and it’s my go to workout. That wasn’t always the case but my mentality changed after school sports and I can just enjoy my running. I didn’t always enjoy running, but I’m so glad that I do now. I love how running makes me feel alive! And yes…I love that it’s a sport where I compete with myself. Running is GREAT! loving all your pictures! so cute. i love to run because like you said, its an individual sport and you’re always challenging yourself. plus its nice to feel the sun on your face in the summer!! That pic of you at Dulles is so cute! That would be a lot of fun to run on an airport tarmac. My favorite thing about running is how it makes me feel strong. I’m hopeful that they’ll have the race again this year so that I can run it for the 3rd year in a row. I love all aspects of running especially the group that I was fortunate to join after much trepidation. So glad that you love your running group! I also love that while running is individual, it has allowed me to make so many connections and friends. I’m not a runner but it’s a great way to be in competition with yourself. You should add “because I take the cutest running pics” – because you do! Happy weekend, lady! One of the reasons I love to run is bc it is an individual sport. You don’t need anyone else to do it with. And though it’s hard not to compare yourself to others, as long as you are giving it your best, that’s all that matters. Your airport picture!! I LOVE IT!!! Competing against myself is one of my favorite things about running too. And seeing the results of all your hard work! I love seeing my hard work pay off. Good girl running for you and not against others – I have found that is always a losing battle – sure you might be better than some but there is always someone better. I love your approach – battle yourself!! That’s exactly why I try to focus just on competing against myself. I had to learn for myself that I run for me! When you take the competition aspect of it, you truly reap the rewards. The challenge gets me every time…and look at me, I’m still running! Which is why I try to focus on just improving my own PRs. I love that picture at Dulles! What a great memory! I love running for a lot of the same reasons. It’s so great to always have a moving target – technically, it’s the same thing, but there are so many different goals for which to aim, so it always feels different. 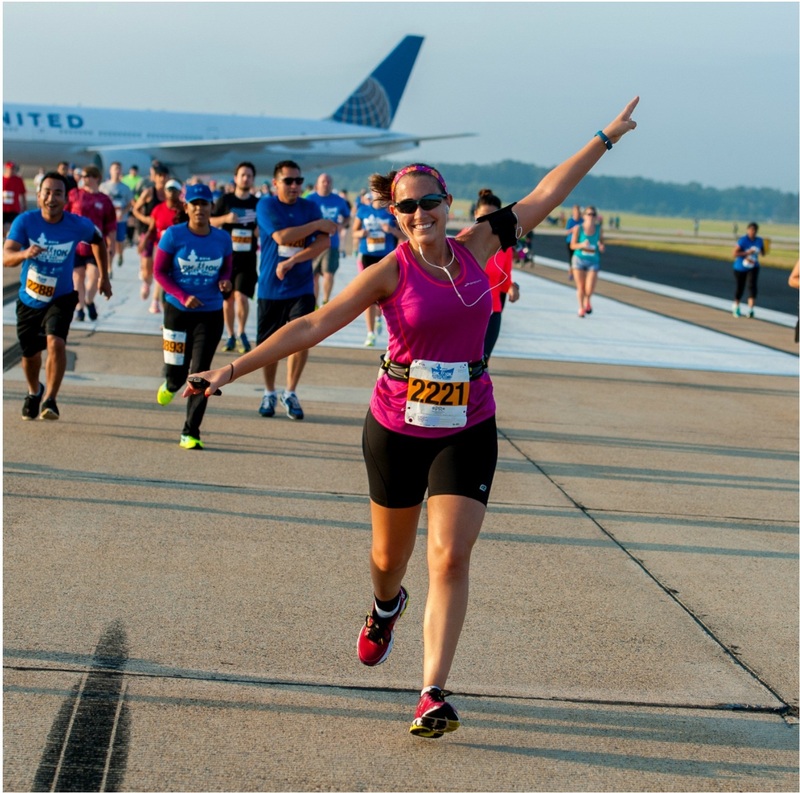 Dulles was such a fun race! I love challenging myself as well. I think running is very cool in that it can be done with others or solo! Either way you can challenge yourself. Mental health is one of the big ones for me. But I too love the competition with myself!! Mental health has been an added benefit that I didn’t initially think would be a benefit when I first started running. You should share with Fitness Friday! Great list! I find one of the things I love the most about it is one of what you listed. The competition with ourselves. It’s a sport we can compete with others, or use ourselves to better our times. It’s just a great solo or team sport! I love that photo at the aiport! That sounds like a really cool place to run. And I’m right there with ya on comparing myself. I always look at people who are liek “I just ran an easy 5 miles at 6:00 min pace!” and I get jealous or think why can’t I get faster?? But remind myself to continue working on my own goals, and if I keep at it, I will improve. All you can do is focus on improving yourself.